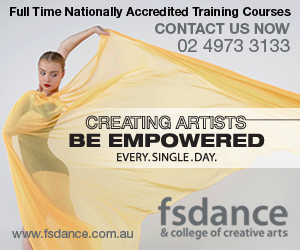 FSDance & College of Creative Arts produces exceptional dancers who are independent & equipped for the Dance Industry. Experience powerful growth with one-on-one guidance and expertise from inspiring & professional mentors. Dancers are encouraged to develop their own artistry whilst discovering their unique strengths. Each dancer is challenged to explore expression through other ‘creative arts’ mediums giving diversity and an edge on their competitors. Whilst ballet and contemporary are the foundations for the full time courses, a comprehensive list of subjects are offered to enable employment in a wider context of dance and related careers. We are proud of our many graduates that are now dancing professionally in Australia & overseas in ballet, theatre & commercial styles, running their own studios, or have successful employment in related dance careers. Our Transition Schooling Program is tailored specifically for the dancer who wishes to complete their schooling alongside increased hours of dance training. Through our balanced approach to High School Education, students thrive as a result of the holistic, nurturing, learning experiences in Education & the Arts. TEACHERS: Fiona Donaldson, Aleeta Northey, Julia Barry, Jeremy Gates, Lauren Hustler, Charlotte Schinckel-Brown, Alison Hodge, Lisa Merryfull and frequent guest teachers.